Miguel A. Torres, a fourth generation of the Torres winemaking family and green pioneer, is one of the most recognised names in Spanish wine. 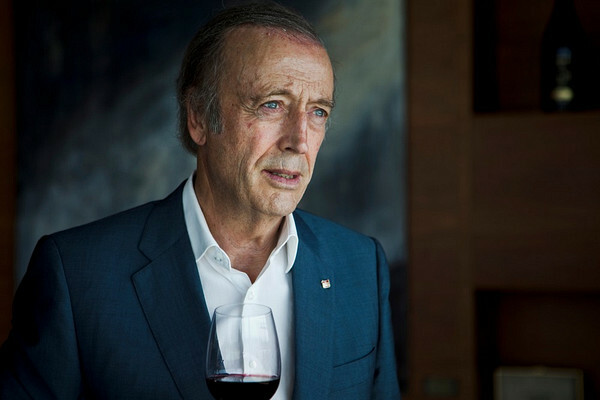 After 50 years at Bodegas Torres, he will hand over the reins as general manager to his son Miguel Jr. this September on turning 71, staying on in the company as group president. He lives in Penedès with his German-born wife Waltraud. What I did last week: a cycling holiday with my wife Waltraud. Global warming and its consequences in the vineyards and to the lives of 7,000 million people. All volunteers who help the needy without expecting anything back, like the Catalan Vicente Ferrer who did a fantastic job in India. Having our own restaurant at our winery with a chef who worked at a 3 Michelin-starred restaurant. It’s our little luxury. Worried because of the global crisis; happy that we made all our investments before the crisis, proud that our company is doing quite well, and optimistic for the future. “It’s very good, but let’s try to make it even better”. My wife, my children and all our family. Starting out as a winemaker in the sixties and experimenting with international grape varieties. Understanding people quickly; getting to know their qualities and their needs. With the help of my wife, being able to raise our family successfully. Right where I am; our home at Mas La Plana in Penedès. The 14th century castle of Milmanda where Charles V and Philip II once hunted. Mauricio Wiesenthal, Carmen Riera, Charles Handy, Hugh Johnson and Stephan Faris. John Wayne in The Searchers. Arrogance, lack of humility, and obsession for profit at any price. I should have been more patient with my father. Think and act sustainably, and enjoy every moment, every day. Who would be your ideal dinner party guests and what wines would you serve them? I’d throw a green-themed dinner party and would invite Al Gore, Stephan Faris – who wrote the book Forecast about climate change – and Ricardo Lagos, the UN special envoy for climate change. On pour would be Mas La Plana 1970, Marimar Pinot Noir 2008 from California and Manso de Velasco 2007 from Chile.